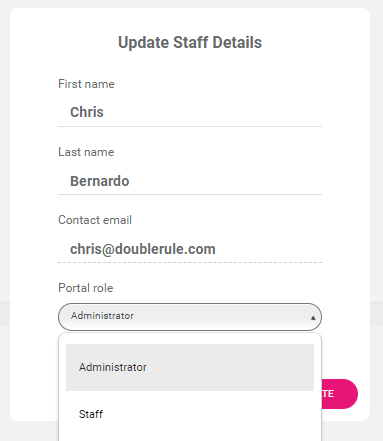 Edit and remove assigned user role privileges to your teammates. 1. Click on the name of your team member. 3. Change the details that you need and once you're all good, click the Update button. 1. Simply click on the Remove Staff link. 2. Confirm deletion by clicking the Remove button.